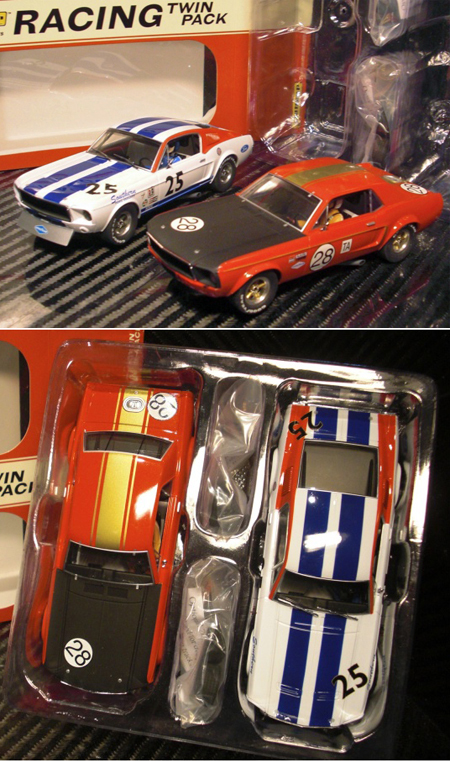 As we mentioned in our August 4 newsletter a member of the Electric Dream Team recently had the fun job of visiting the Virtuoso Performance race shop in Hayward, California to assemble a slot car track that the VP staff was going to take to Laguna Seca and other vintage racing events as entertainment for their guests. While at the shop our ED team member had the opportunity to photograph the many interesting historic cars VP maintains for its customers. Here is a selection of the photos he took. This is what you see when you enter the front door. this is the “showroom” with the offices to the right. The walls are covered with posters and photos and the cars and engines on display are just a hint of what lies beyond. This chair is one of the artifacts on display in the showroom. 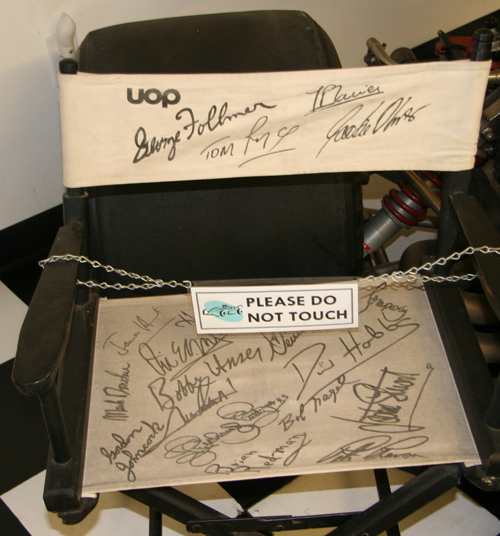 The autographs include George Follmer, Tom Pryce, J.P. Jarier, and Jackie Oliver, all Shadow drivers, plus many others. See if you can make out all the famous signatures. 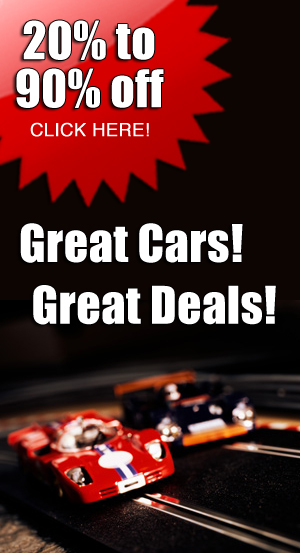 For all you Porschephiles and Gulfophiles, how about this? A Porsche 911 GT3 in Gulf Porsche colors for a really nice retro touch. 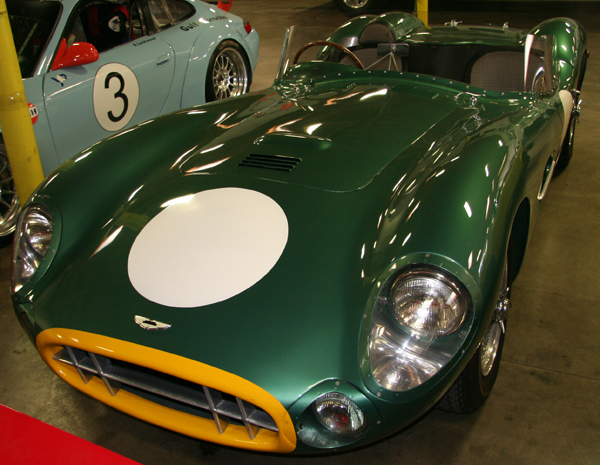 And sitting right next to the Porsche is an Aston Martin DBR2 replica in a beautiful metallic green as on the original Aston Martin works race cars. Or how about a Ferrari 288 GTO? The Len Terry-designed Shelby King Cobra was never much of a performer, but you have to love the shape of it. This is either the latest Batmobile or a little-known Shadow CanAm design. The bazooka-like thing above the cockpit is either an air intake or a forward-firing weapon, located right next to the driver’s head. And while we’re on CanAm cars, sitting in a corner was the one and only Sting GR-1, built and driven by CanAm independent Gary Wilson. Here’s an Osella-BMW fresh from restoration. note the Yardley BRM and the Chevron in the background. 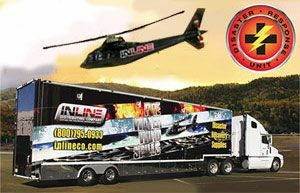 VP does everything from complete restorations to routine maintenance to trackside support for its customers and their cars. Here’s another Osella. Both of them are powered by 2-liter engines. 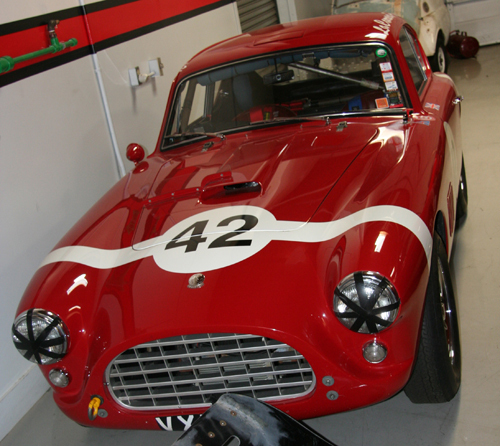 This AC Aceca coupe (an AC Ace with a top) is one of the Cobra’s ancestors. The shade of red in which it’s painted is gorgeous. VP has its own paint booth and master painter. 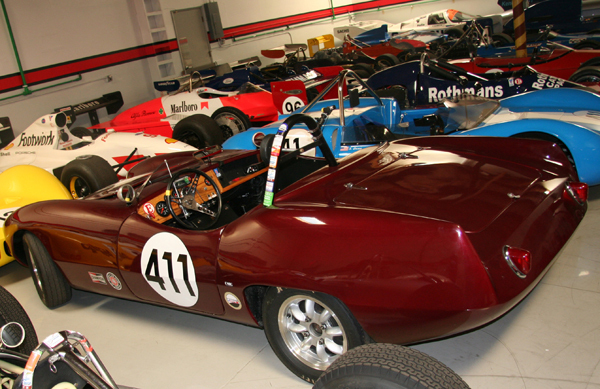 A shot of some of the many customer cars stored at VP, with a very nice Elva Courier in the foreground. 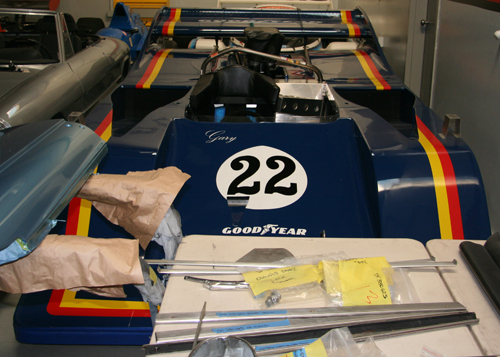 Body panels and wing for a Lola T163. 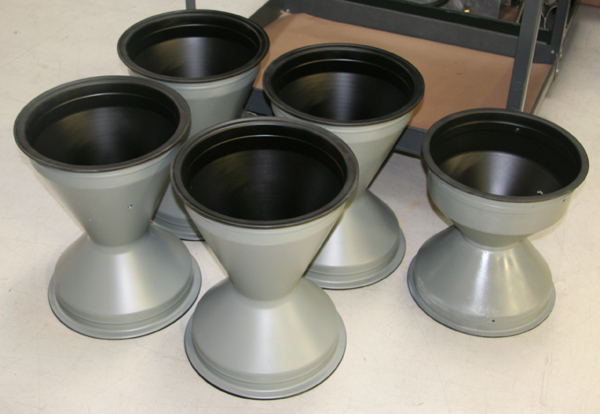 These are either truly elegant flower pots for the office and showroom or vintage CanAm car or F-1 wheels. This is the shop’s “winter project”. When finished it will be powered by a 500 cubic inch Chevy and feature all carbon-fiber ground effects bodywork…well, maybe not. 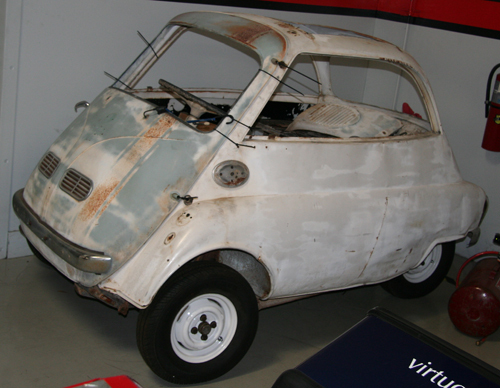 But it ought to be great fuel-efficient transportation for two people who like to be close to each other. 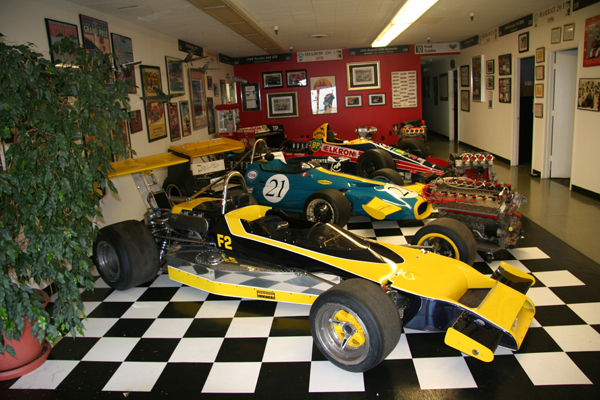 Our thanks to Virtuoso Performance not only for their business but also for giving us the chance to see and photograph a great shop full of fine race cars. 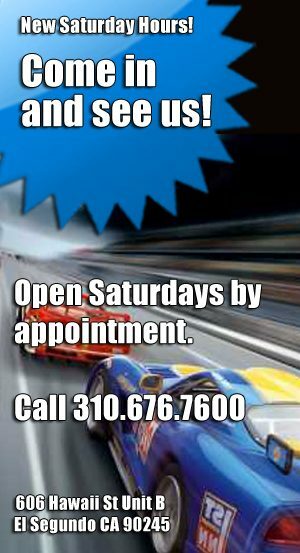 If any of our readers are into 1:1 scale vintage racing and looking for a prep shop in the San Francisco Bay area, check out VP at www.vprace.com.